When I first saw the Milk-Bone TV ad portraying a college student in a wheelchair, I admit I was stunned. It took me only a few seconds to realize the connection: The student had a service dog and flipped the dog a few treats after a long day at class. On Wednesday, the pet-snack maker hopes to do even more to highlight the work of service dogs for people with disabilities by sponsoring a primetime PBS documentary — with a voiceover by actor Neil Patrick Harris — that will have viewers seeing dogs in a whole new light. Through a Dog’s Eyes will follow the life-changing journey of four people with disabilities and their families as they go through the heartwarming and sometimes difficult process of receiving and being matched with a service dog. Jennifer Arnold, founder of Canine Assistants, one of the nation’s largest service dog organizations, shows her unique teaching methods and gives viewers an intimate look at the canine-recipient matching process. Milk-Bone is perfectly suited for this film: For the last 12 years, it has donated a portion of sales of its dog snacks to Atlanta-based Canine Assistants, which has placed more than 1,000 people with disabilities with service dogs in the last 20 years — at no cost to the recipients. The company also has stepped up marketing efforts to people with disabilities with the “It’s Good to Give” campaign, which launched in September. 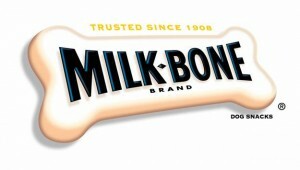 Milk-Bone, owned by Del Monte Foods, spent nearly $8 billion on advertising in 2009, up from $600,000 in the previous year — partly to pay for TV advertising for the campaign, according to Brand Week. As Through a Dog’s Eyes shows, it’s not all smooth sailing for the recipients of service dogs, who must spend two weeks at Canine Assistants’ training camp in Atlanta learning how to work with their new companions. One recipient, Bryson Casey, 30, is an Iraq war veteran and new quadriplegic who needs his dog, Wagner, to help him navigate the simple tasks of daily life he can no longer do on his own. There’s also six-year-old Aiden, who was born with cerebral palsy and spends most of his time in a wheelchair. 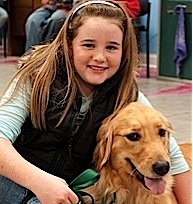 He wants his dog, Nala, to learn to help him pick up pencils at school and offer silent support in social situations. There are around 8,000 to 9,000 dogs in the U.S. that are “employed” as service dogs, according to the International Association of Assistance Dog Partners, an organization that represents people partnered with guide, hearing, and service dogs. Under the Americans with Disabilities Act, service dogs are allowed into any public places such as restaurants and malls. Canine Assistants’ service dogs can do many tasks that humans can, such as turn lights on and off, open and close doors, retrieve dropped objects and summon help. While they primarily provide physical or mobility assistance for physically disabled people, service dogs also offer emotional support for people with special needs, such as autism or epilepsy. For example, Destiny, 11, whose story is also featured in the film, hopes her dog, Salsa, will be able to alert her of impending epilepsy seizures. The “It’s Good to Give” campaign includes a Facebook page where fans can follow the life of Noble, a puppy who was bred, and now being trained for, a life as a service dog. Noble, like other service dogs, is a Golden retriever who will train for six months to two years in an intensive program run by Canine Assistants volunteers. The organization relies heavily on Milk-Bone donations to pay for animals’ training, boarding and lifetime medical care, which cost upwards of $20,000 per dog. As a century-old company that made its first biscuit at a bakery on the Lower East Side of New York City, Milk-Bone has clearly put its money where its heart is -– on dogs, and the extraordinary things they do for people. Are there any volunteer opportunities for working with, training assistant canines in New York City? I am retired (60 years of age), can travel, and am enthusiastic about canine assistance programs. Hope I can help in some way! I think you have an excellent site here. I have a small emotional service dog who will not be vest during hot weather in the South (USA) and links to sites which sell special tags and ADA cards would be wonderful. I have a terrible time finding this sites. Thank you for your comment. I will ask Penny Reeder, our guest columnist who is blind, if she will do an article about these types of sites for your dog. What is an ADA card? do you mean a disability card? There are many sites that you can go to under Service Dogs, and whatever you are looking for from vests to patches to the information cards regarding laws covering admittance to service dogs. I have a medic alert dog who has flown a number of times by plane, traveled by bus, across country by car, stayed at hotels, visited the Hoover Dam, Zion National Park, the Grand Canyon, the ocean, etc. My advice is to call ahead of time to places (especially hotels) so they are aware that you have a service dog. All but one place (who were not aware of the laws) have been wonderful! We also look up the dog parks when we travel so that my dog can have “down time” playing with other dogs off-leash and without her vest.